Infertility in both men and women is a common issue. The causes can vary from physical to mental, emotional or hormonal. 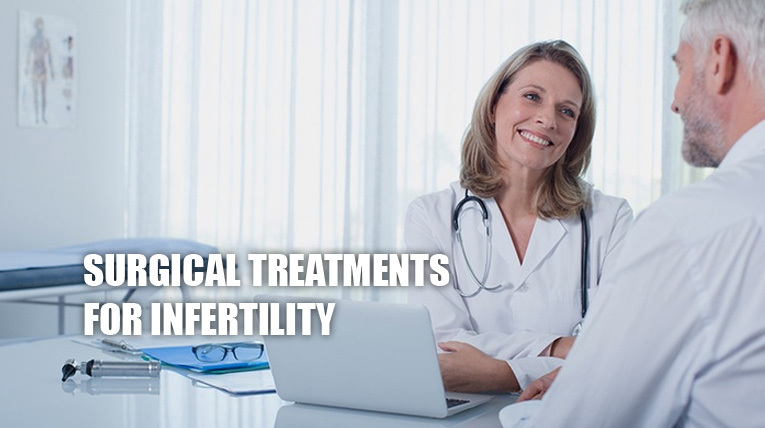 There are numerous treatments available for infertility that differs from each other in terms of the technique and technology used. These can be medicinal, assisted reproduction or surgical treatments. For a particular patient, the choice of the treatment depends on the severity of the infertility condition. While for some simple medicinal approach solves the problem, the others may need surgical means to overcome the complications. Surgical treatments are available for both men and women. The surgical solutions are now much simpler, more non-invasive and more viable than ever due to the significant advancements in the medical technology over the period of time. An outpatient surgical method which uses a small, fibre-optic telescope known as a laparoscope. This instrument is injected through a tiny incision made near the navel. The telescope helps in observing and evaluating the appendix, gallbladder, liver, pancreas, small and large bowel, spleen, stomach, pelvic or reproduction organs. This method enables the doctors to perform both minor and complicated surgeries with just a tiny cut in the abdomen. 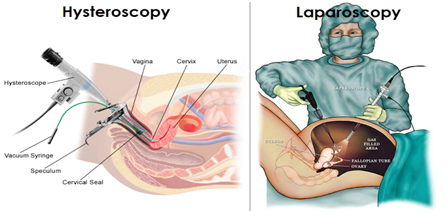 Laparoscopy can be used to determine and treat causes of infertility such as endometriosis, fibroids, ectopic pregnancy, remove adhesions (scar tissue), ovarian cyst, etc. An outpatient procedure in which the fibre-optic telescope is interpolated into the uterus via the cervix. The telescope can then investigate and remove adhesions in the uterus. Hysteroscopy can be done in the hospital or surgical centers. Used to treat a blockage in the fallopian tube which hinders the passage of fertilized egg to the uterus. There are different types of this surgery which are used depending upon the need and condition of the patient. The above mentioned surgical treatments can help treat infertility and increase the chances of conceiving a child. The daily advancements and growth in the medical sector have evolved the way the infertility problems are perceived. If these continue to take place the treatments will become much cheaper and feasible. That you shared information on this topic, we like your information and also your site is very useful to us. Thanks for sharing the best and amazing suggestions they very nice. I am satisfied with your site a lot. You did a good job on this topic and you made a good site it’s very interesting one. Thank you for your support to us. I am very satisfied with your site and also I like your information.